In, The Biography of your Best Friend (The Evolution of the Dog) – Part 1, we learned all about how wolves became dogs…and just how long those dogs have been a part of human life. All wolves pretty much look the same, though, and everyone knows that dogs come in a wide variety of shapes, sizes, colors, temperaments, and energy levels. So how the heck did that happen? Evolution is an amazing thing. Once the partnership between humans and dogs formed, some of the wolf-y qualities began to fade. For the first time, dogs as a species began to take on their own characteristics. Barking is probably the first to come to mind. Wolves howl to communicate with each other. Dogs would have developed barking as a way to warn their human counterparts at the sight or sound of something unfamiliar. By the time humans began to increase their population and therefore spread to different areas of the world, dogs were already members of “society” – so they came along for the ride. Just as our own species did, dogs had to adapt to the new environments while simultaneously adapting to fulfill our own changing needs. Technically, though, this created new dog landraces not new dog breeds. By definition, a landrace is a domesticated animal that develops because of its adaptation to a new natural or cultural environment. In other words, humans were not forcing two dogs to mate to create new, more helpful creatures. It was an organic process. 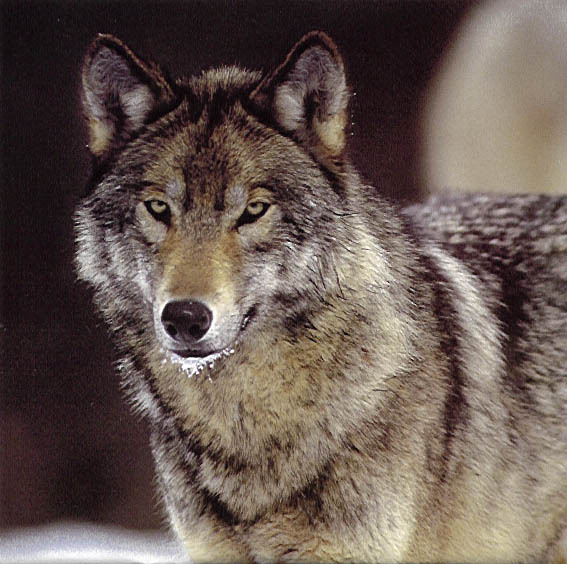 Even now…after all this time… some of our breeds are very closely genetically related to wolves. Some of the most similar breeds? 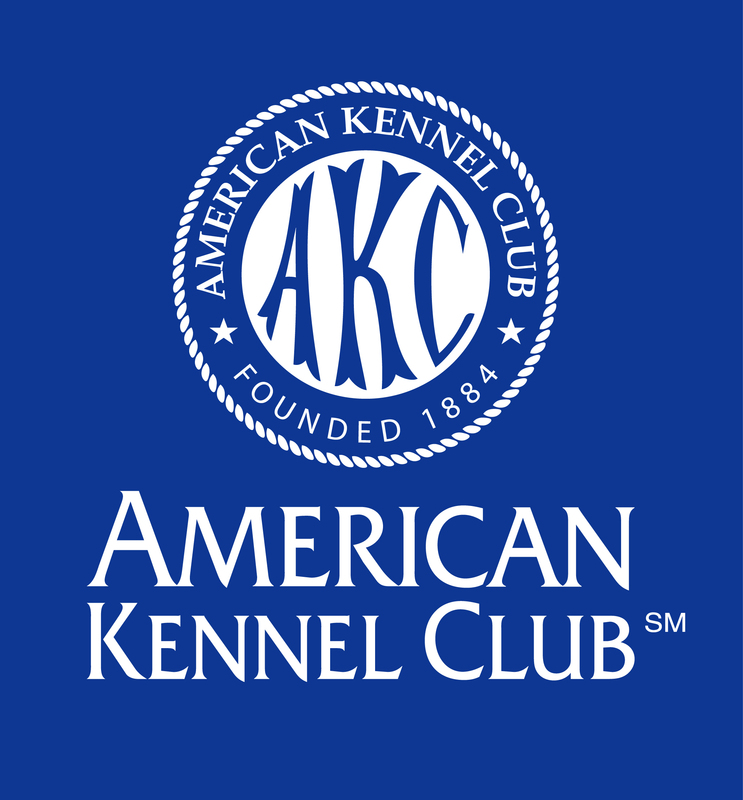 The Siberian Husky, the Afghan Hound, the African Basenji, the Chinese Chow Chow, the Japanese Akita, and the Egyptian Saluki. It’s really not surprising seeing as where these dogs hail from…surely the sites of some of our earliest civilizations. 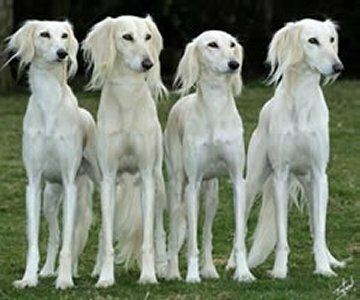 Saluki - these dogs look like they jumped out of an ancient Egyptian relief! Lately, I’ve been spending a lot of time with Buffy – just the two of us. I often marvel at how well we communicate and live. She is, after all, a “wild” animal…living in my apartment…sleeping in my bed…performing tricks on command. How did we humans ever get so lucky to have such a wonderful and loyal “best friend”? Much like the evolution of our own species, the history of how the modern day dog came to be is a mystery that we surely will never be able to completely solve. 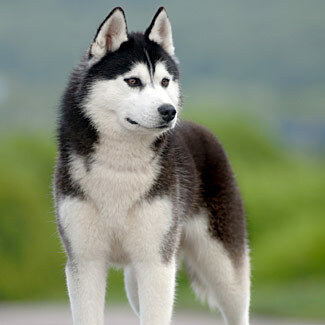 We do know they originated from wolves – your own pup is almost identical to a wolf. (Well, their DNA is anyway.) About 95% of all dogs today can be traced back to three female wolves living in China 15,000 years ago. (Please do not ask me how it is possible to trace such a thing…my brain cannot begin to comprehend!) Did you know that archeologists found the remains of a man (in what is now Israel) buried with his hand cradling a dog? Dogs show up in hunting sketches for the first time in about 6,000 B.C., but these drawings show all dogs looking alike. 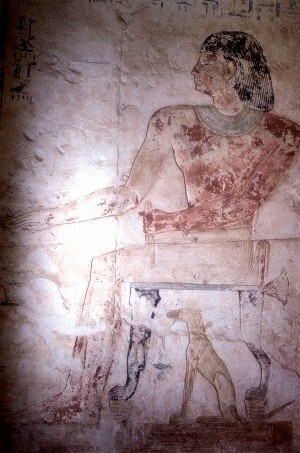 Egyptian art around 2,000 B.C. is the first time dogs of different shapes and sizes show up, so we know that different breeds were beginning to evolve then. But how did wolves become dogs? I would love to believe that early humans captures wolves and slowly began training and domesticating them. Luring them with food and shelter; gaining their trust slowly but surely. A lonely little cave-boy with no playmates befriending an orphaned wolf pup. The two forming a bond and overcoming all obstacles to become lifelong companions. The wolf saving the boy from other predatory animals….or better yet running to get help after the boy fell and was unable to make it back to his cave home before nightfall. Ah, how romantic! Anyone who knows anything about wolves though knows this would never happen. Wolves were (and still are) dangerous, violent creatures. Not that I have anything against wolves! They are wild animals and care only for their own survival. It is no coincidence that the human race stopped roaming and began to settle in villages at the same time dogs began the process of domestication. Wolves began to live off of the discarded scraps of humans. Those that were braver and ventured closer to people surely got the tastier treats. Their “flight distance” (the distance before an animal runs from something threatening) slowly decreased as the wolves realized they we receiving food and not harm. “Flight distance”, a behavioral trait passed down through offspring, would have continued to decrease throughout the species until the wolves eventually were living right alongside humans. This was a rough period for us Homo sapiens, we wouldn’t have had time to waste domesticating these wild creatures. (Assuming you could make a wolf do anything he didn’t want to!) The wolves came to us when it benefited them. And so, the bond between your pampered pooch and you began to form….a mere 15,000 years ago. 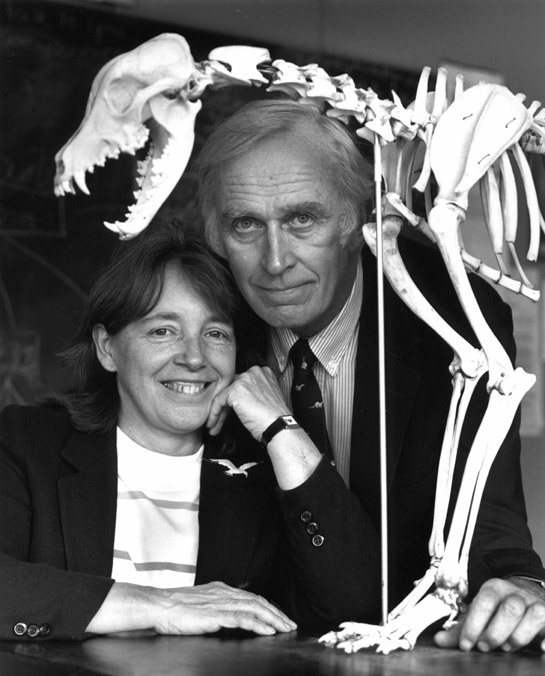 It doesn’t take an archeologist to understand how both species benefited from their new alliance. As people began to migrate all over the world, the wolves/dogs followed. And as people began to adapt to these new obstacles and climates, these wolves/dogs adapted too…and new breeds were created.